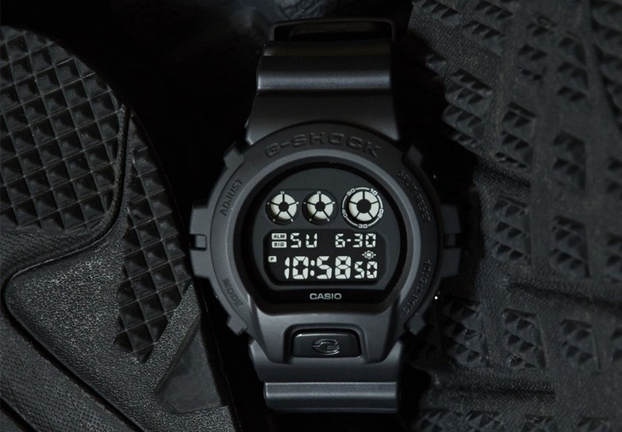 Casio G-SHOCK announced the addition of five new timepieces to the men’s Black Out series. Now comprised of 10 total styles, the releases include a DW5700 revival model, two new DW6900 models and one new GA100 model – all with a tactical inspired colorway. The DW5750E-1B features a 45.4mm case, with a circular bezel and resin band. The new DW6900 timepieces, which feature a 50mm circular case and bezel, will come in both a resin (DW6900BB-1) or CORDURA cloth (DW6900BBN-1) band, which provides extremely high resistance to stretching and tearing. The updated GA100 (GA100BT-1A) will feature a new, textured band and a 51.2mm case. Each model also comes equipped with standard G-SHOCK technology of shock resistance and 200M water resistance. The DW5750E-1B, DW6900BB-1 and DW6900BBN-1 each have Multi-Function Alarm and EL Backlight, while the GA100BT-1A features 4 Daily Alarms & 1 Snooze Alarm, as well as an Auto LED Light.